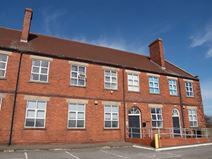 Previously the administrative headquarters of Betteshanger Colliery, this building now provides modernised office space that is ideal for between five and 15 people. There is a meeting room available for hire, as well as WiFi, broadband, access to a kitchen, parking, office cleaning, bike racks and a boardroom. 24-hour access to the space is available, meaning maximum flexibility with working hours is available. This property is situated close to the centre of Deal and is close to the station, shops, banks and more. The office is a three-room suite, available now on flexible terms.